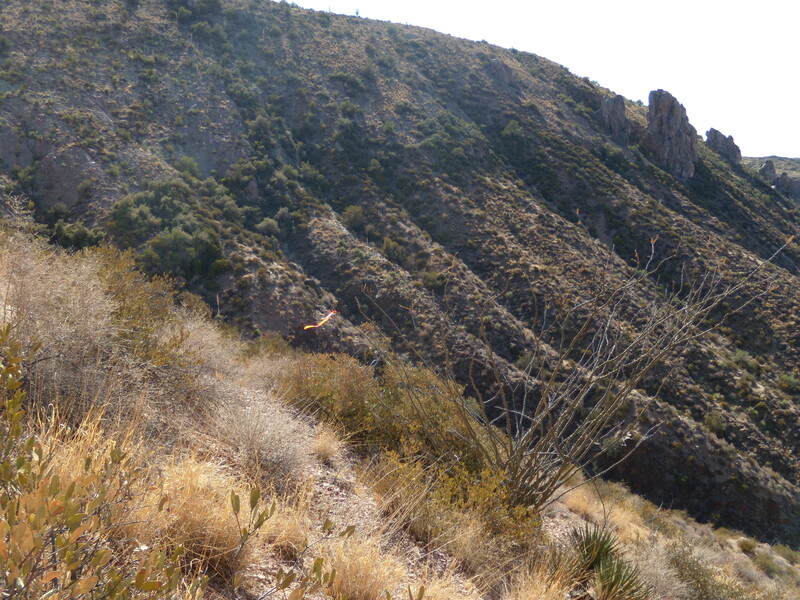 Mark and Neil provided design services for a reroute of the Arizona National Scenic Trail south of Kelvin. The reroute will be constructed if needed to bypass a proposed mine tailings project. The terrain was challenging, but when the trail is built it will add a significant upgrade to the existing trail, offering sensational views and providing a much more sustainable route. In 2008 Mark led a crew to design a section of the Arizona National Scenic Trail in the Gila River Canyons Passage. The terrain was challenging – steep and rugged – and property boundaries limited options. It took the crew a week, including two half-days of travel time, to complete a 1.6 mile grade stake center line alignment. The segment is widely viewed as one of the most beautiful stretches of the trail. The AmeriCorp crew helped us with this section near the town of Kelvin, AZ.